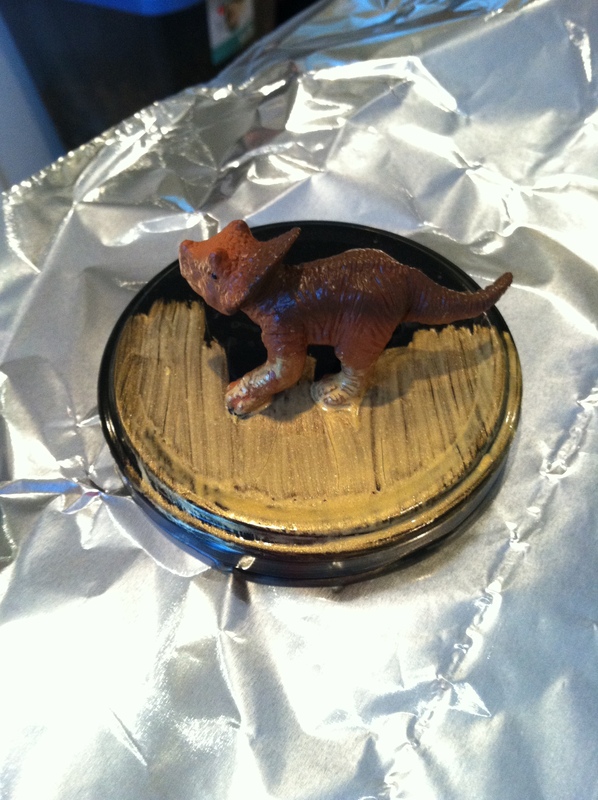 Yep – a dinosaur jar! 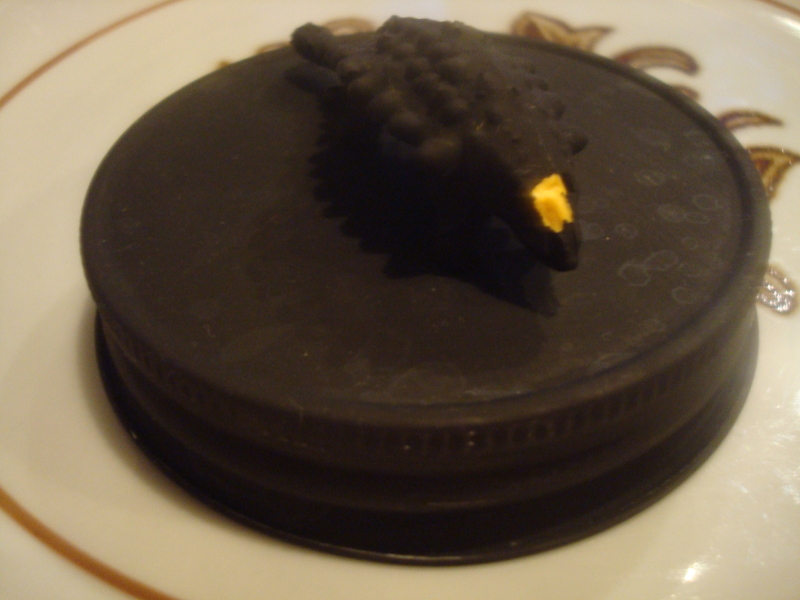 It is very easy to make, and you can use any color you want! 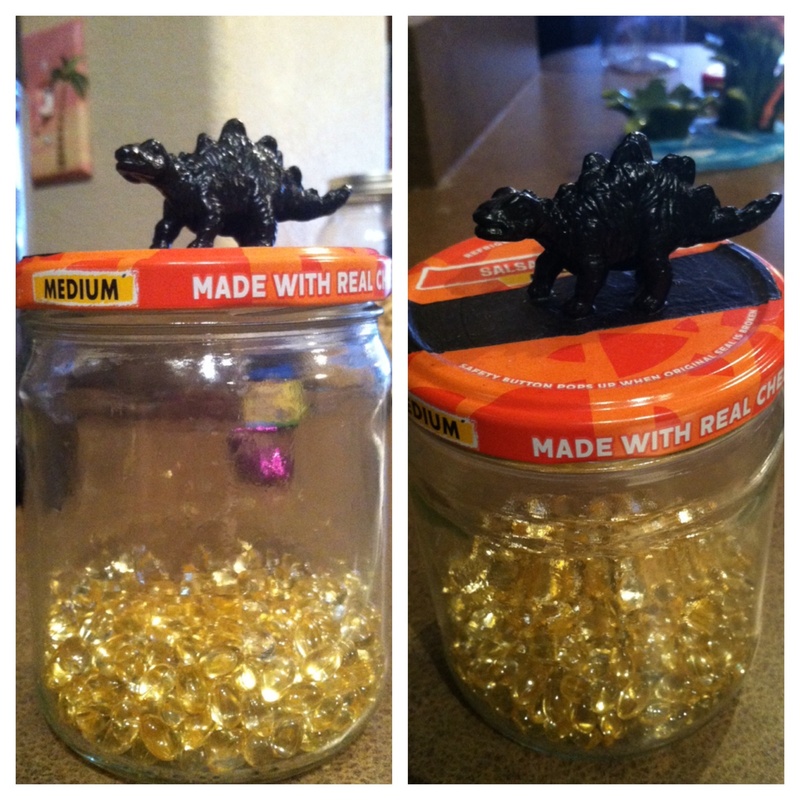 She had been collecting jars for SOMETHING, so we bought some dinosaurs and superglue, and went for it! I went for black and she chose gold. 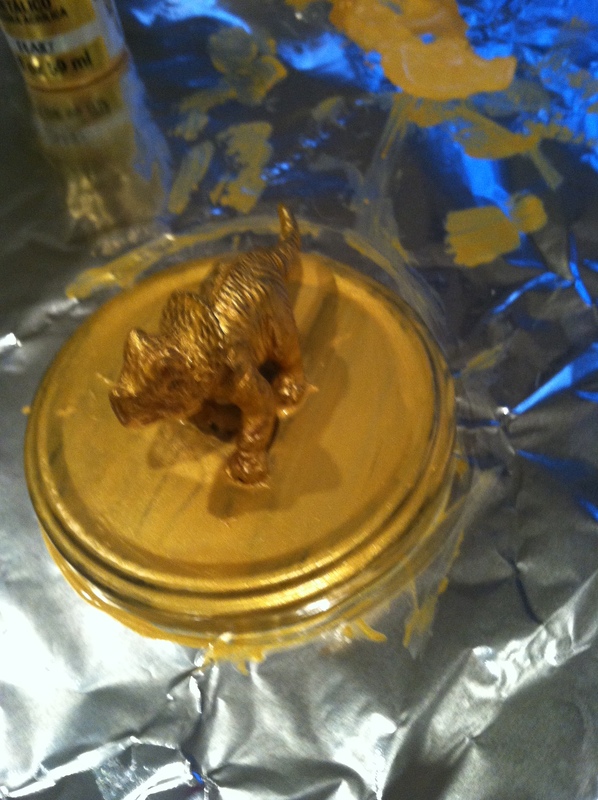 I chose to use painter’s tape and just paint part of the jar lid, but she chose to paint the whole thing. After it was all finished, I decided I wished I’d done the whole thing, so I decided I’d just do another one at home. So I did! Refer to the picture above for the steps…. 1. Choose your dinosaur and put super glue on the bottom of each foot! I prefer Loctite Gel Control Super Glue. I conveniently had a bag of animals that I got from my grandma a few years ago! Let it dry for a few hours. I just did it overnight. 2. Get whatever color of paint you want, and paintbrushes. 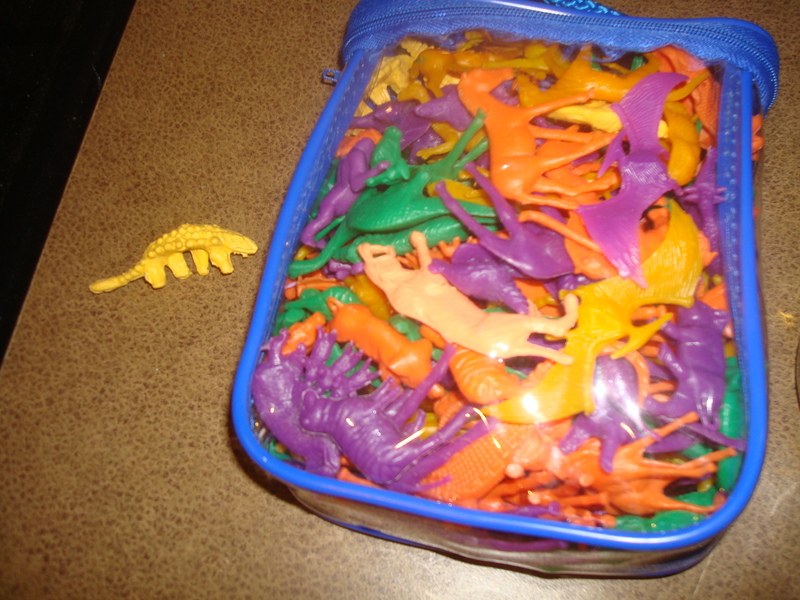 I used a small and a large one so I could use the small one to get under the dinosaur and in all the crevices, and the large one for the lid part. 3. 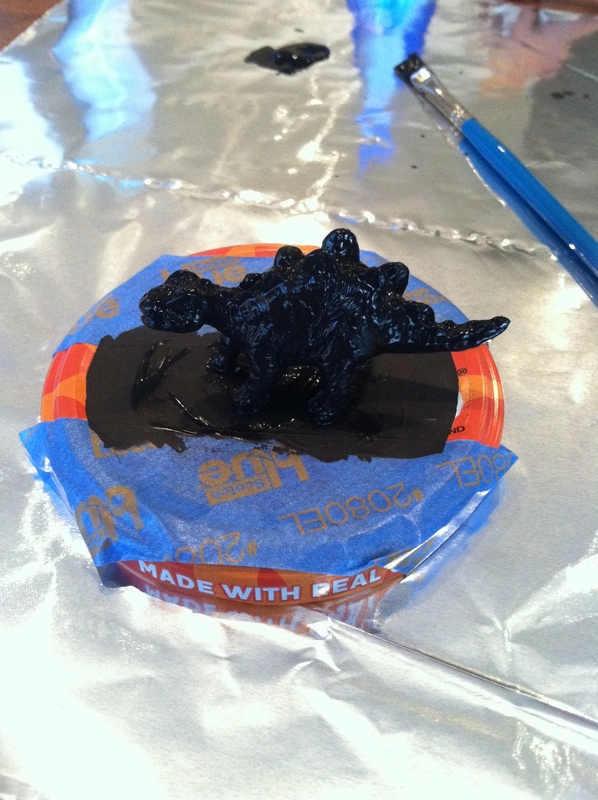 Paint your dinosaur and lid! Let it dry for a few hours, I let it dry for a few days, simply because I forgot about it! 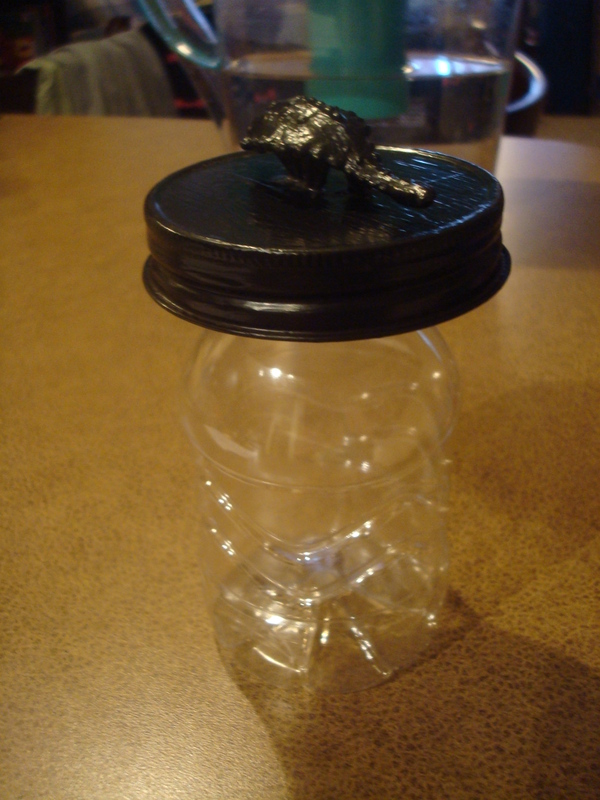 I put it on top of a small water bottle, because I’d painted the very bottom edge of the lid as well. You can tell that I kept it by the sink to dry, because it has dried water spots on it! 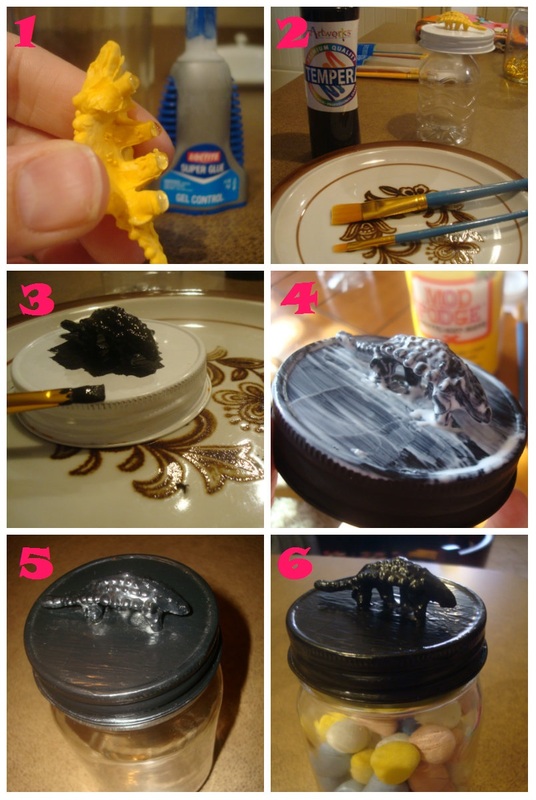 Also, I don’t know how, but some of the paint chipped off…so I just gave it another coat! No water spots, no chips! 4. 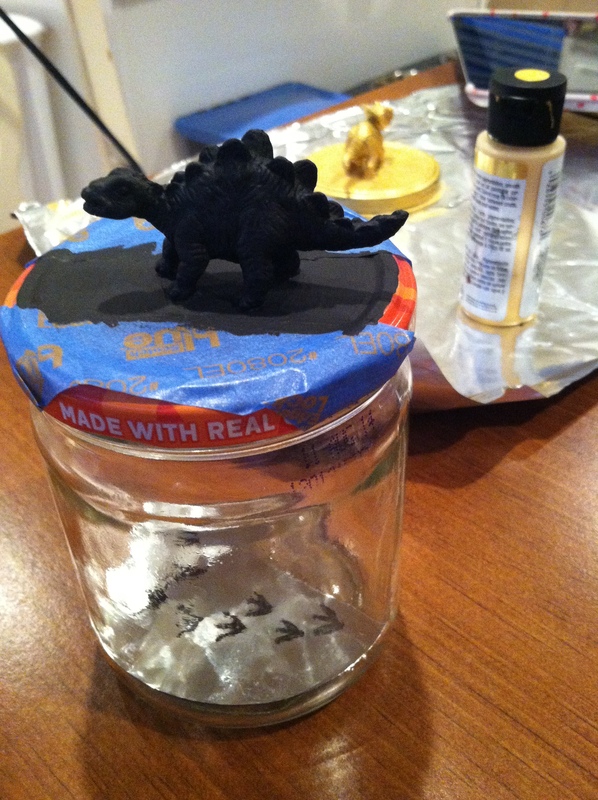 Use Mod Podge to cover the dinosaur and jar lid with a sealing coat. I used the same large and small paintbrush as before. Let it dry overnight. Again, I let it dry for a few days, simply because I got busy! 5. Put the dry, finished lid on the jar! 6. Fill it with goodness! Here’s the first one I made, housing vitamins. Here’s the second one I made, much preferred, housing Cadbury Mini Eggs. Ok, let’s be honest. 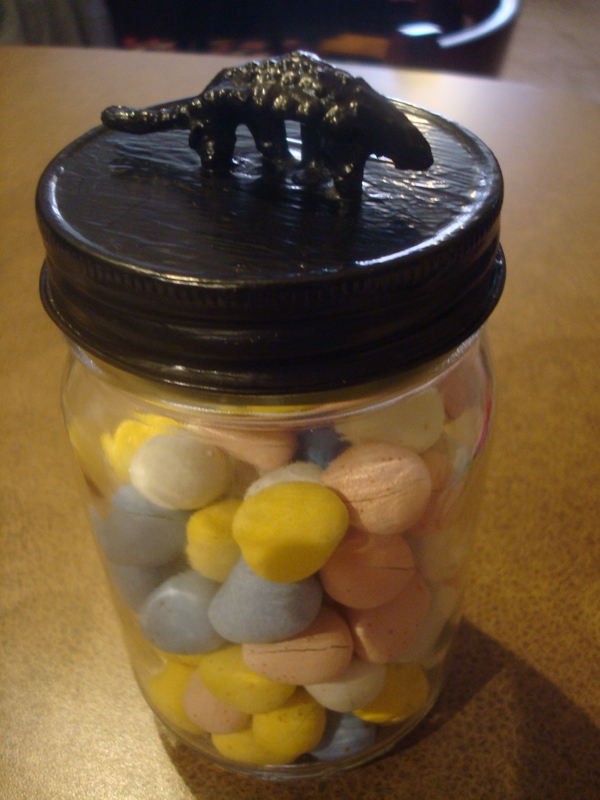 Both jars are filled with dinosaur eggs. Emily pointed that out once I showed them to her. She knows everything, and it is fabulous! 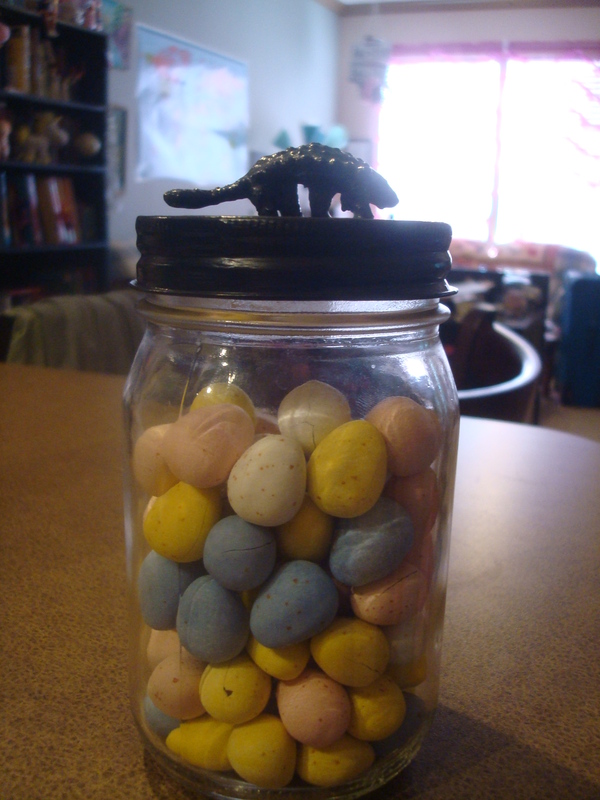 Dinosaur eggs in dinosaur jars.